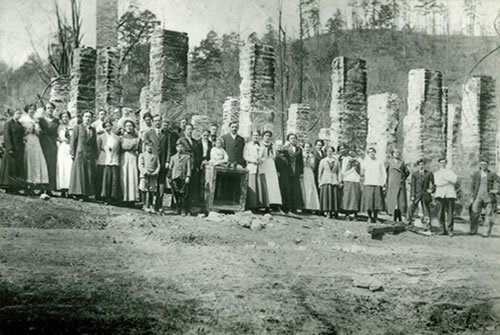 “The wooded mountains of northeast Georgia formed a magnificent backdrop for the hotel-and for the transaction that would be consummated, a transaction that must have been heralded in Glory, a transaction that has led to the spread of the gospel in many parts of the earth and the winning of many precious souls. . . . 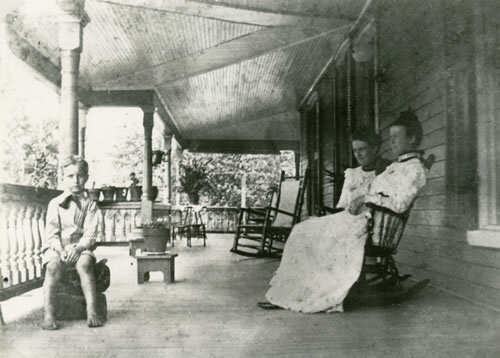 Surely God put His seal of approval on the transaction carried out that day, January 1, 1911. 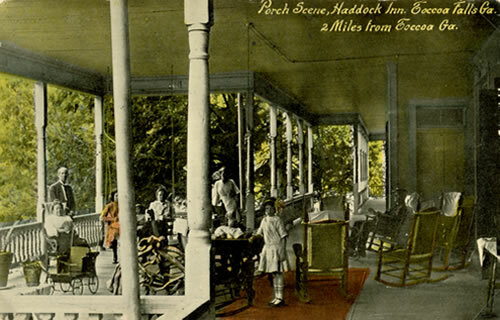 Summer porch scene at Haddock Inn. 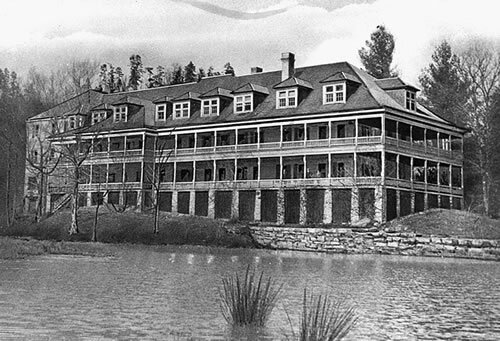 The old summer hotel was a favorite destination for visitors from Florida as well as northern states. As favorite gathering place the dining room at Haddock was spacious and welcoming. 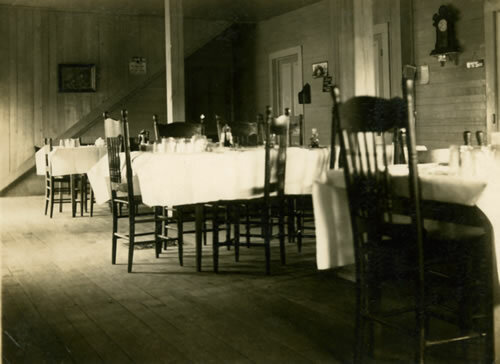 Evelyn Forrest made sure tables were cover with table clothes. China was used and students enjoyed learning the proper way to act in social settings. 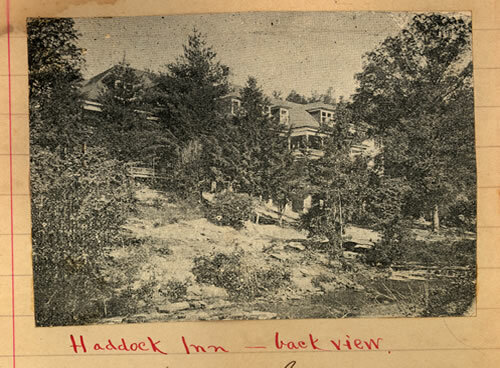 This old Haddock Inn post card from the early 1900’s shows the leisure atmosphere of the Inn before the Forrests purchased it in 1911. 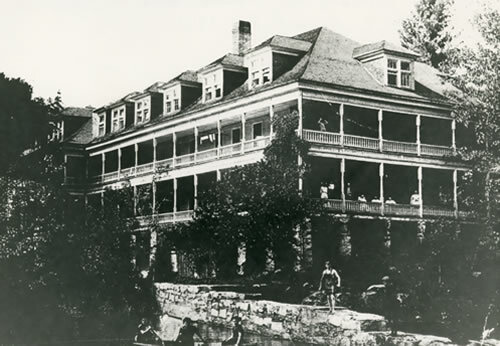 At the far end of the porch, as flight of steps leads down to the ground and to a footpath that visitors would take to the falls. 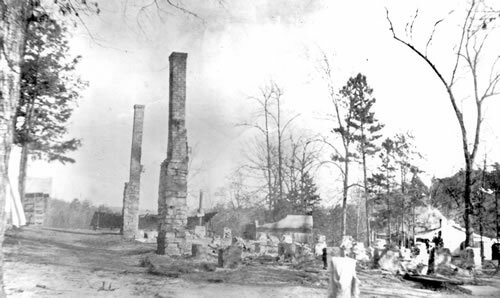 “Without warning, on March 7, 1913, tragedy first struck. It was ten o’clock in the morning. Everybody was in class. 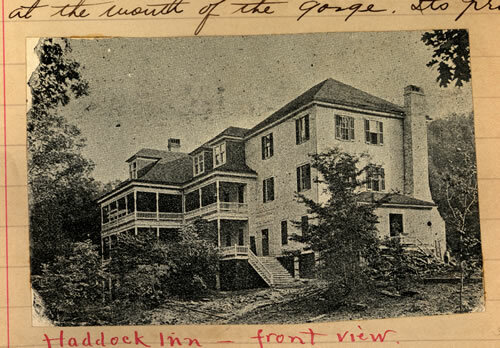 Miss Staley was on the way down from the hill from her house to Haddock Inn for her class. She glanced casually toward the Inn, then stood transfixed in horror: the roof of the building was a mass of flames.